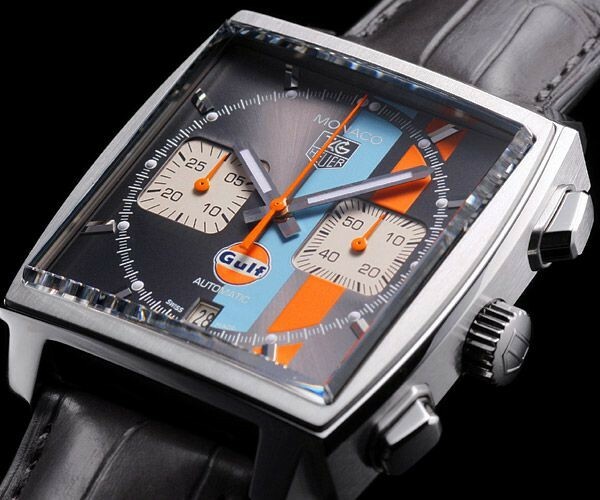 Tag heuer Monaco Gulf limited edition Chronograph. 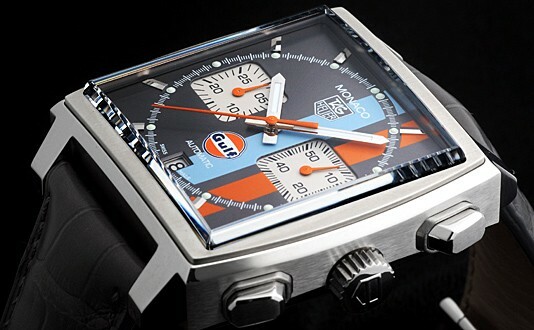 Date window at 6. 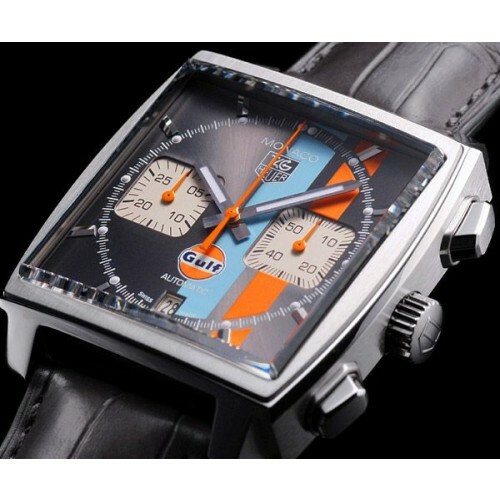 Fine-brushed black dial with blue and orange strips,bearing an over sized "24" at 12 O'clock.